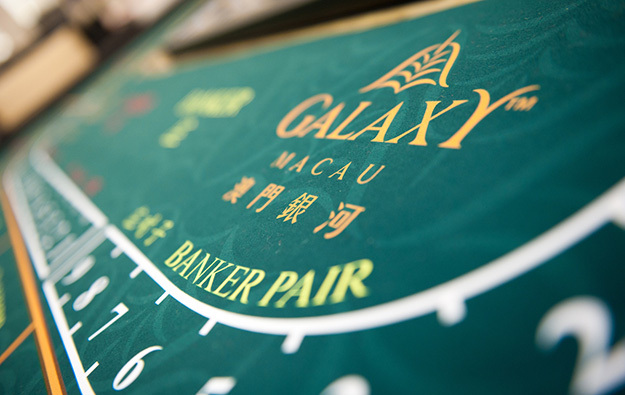 Macau casino operator Galaxy Entertainment Group Ltd said on Wednesday it would issue a special dividend of HKD0.50 (US$0.064) per share, after its first-half profit rose 56 percent year-on-year to HKD7.2 billion. The dividend will be payable on or about October 26. The firm reports statutory results on a half-yearly basis, but issues quarterly selected highlights for the first quarter and third quarter in any given year. Lui Che Woo, the firm’s chairman, said in a press release issued shortly after the results were posted to the Hong Kong Exchange, that in second-quarter 2018, the group had delivered record adjusted earnings before interest, taxation, depreciation and amortisation (EBITDA) of HKD4.3 billion, “notwithstanding HKD131 million of bad luck.” That was a reference to casino hold rates principally for Macau players’ table game of choice, baccarat. Galaxy Entertainment’s first-half group net revenue was HKD28.1 billion, up 25 percent year-on-year; generating adjusted EBITDA of HKD8.6 billion, up 34 percent year-on-year. Galaxy Macau’s first-half adjusted EBITDA was HKD6.5 billion, up 28 percent year-on-year. StarWorld Macau on Macau peninsula, saw its adjusted EBITDA for the period reach HKD2.0 billion, up 41 percent year-on-year. The small Cotai property Broadway Macau next door to Galaxy Macau, saw such EBITDA reach HKD15 million versus HKD7 million in first-half 2017. The group’s total gross gaming revenue (GGR) in the first half, on a management basis – i.e., excluding GGR generated by the City Clubs, several Macau venues that use Galaxy Entertainment’s gaming licence but are managed by third-party investors – was HKD34.3 billion, up 30 percent year-on-year, as total mass table GGR reached HKD13.5 billion, up 18 percent year-on-year. Total first-half VIP GGR was HKD19.6 billion, up 41 percent year-on-year. Total electronic gross gaming revenue for the half was HKD1.2 billion, up 13 percent year-on-year. In the second quarter specifically, group net revenue rose 22 percent year-on-year to HKD13.9 billion. Adjusted EBITDA for the three months from April to June expanded 32 percent year-on-year to a record of HKD4.3 billion. Galaxy Macau’s adjusted second-quarter EBITDA increased 30 percent year-on-year to HKD3.2 billion. StarWorld Macau’s rose 29 percent year-on-year to HKD987 million. Broadway Macau’s was HKD2 million versus HKD1 million in second-quarter 2017. The chairman Mr Lui said in the press release the group remained “confident” in the outlook for Macau and the firm in particular, “due to the significant market demand for leisure, tourism and travel”. But he did mention the risk of a global trade war – understood to be a reference specifically to the trade policies of the United States under President Donald Trump – and other global economic factors that could effect all businesses in the sector . “We do acknowledge that in the shorter term the global trade tensions, currency volatility and the overall slowing economy may impact consumer confidence in the second half of 2018,” said Mr Lui. The chairman also gave some reaction to the passage in Japan of the Integrated Resorts Implementation Bill, paving the way for a Japan casino industry in coming years. In July 2015 it had been announced that Galaxy Entertainment had acquired a 5-percent stake, for EUR40 million (US$46.5 million), in Monaco casino firm Société des Bains de Mer et du Cercle des Étrangers à Monaco, also known as SBM. Galaxy Entertainment has confirmed to GGRAsia it hopes to collaborate with SBM to bid for a Japan licence.